After seeing some awesome DIY costumes that other children were wearing on Halloween last year, I decided to give it a try and make one for my 5 year old son to wear this year. There’s something about homemade costumes that I love. They’re so much more special than any store bought costume. I’m also sick of spending a fortune on costumes that are made poorly with cheap materials. Anyway, when I asked my son what he wanted to be and he said Marshall from Paw Patrol. 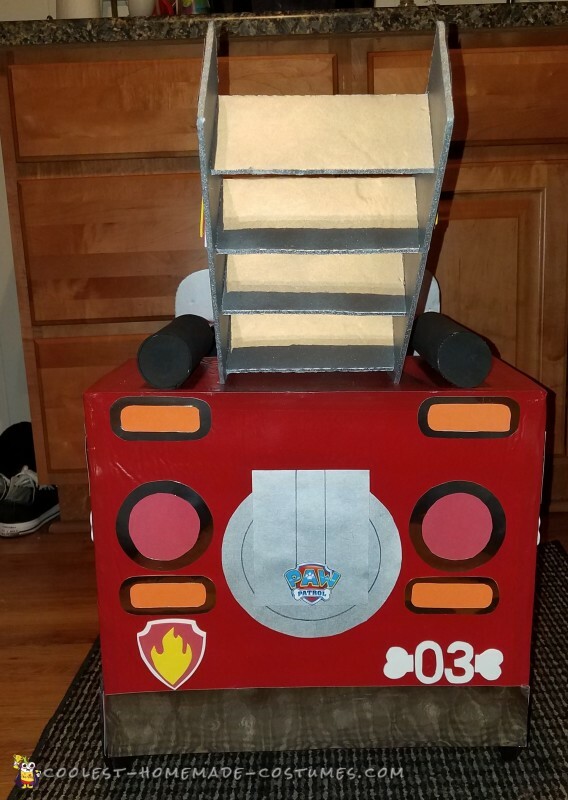 I just finished making my Paw Patrol child costume and it turned out better than I had hoped it would! To make it I used a white sweatsuit, a red fleece vest, yellow duct tape, felt, peel & stick fabric fuse, Marshall’s fireman’s hat (from a Spirit Halloween store), and Paw Patrol water squirting backpack (from Walmart). 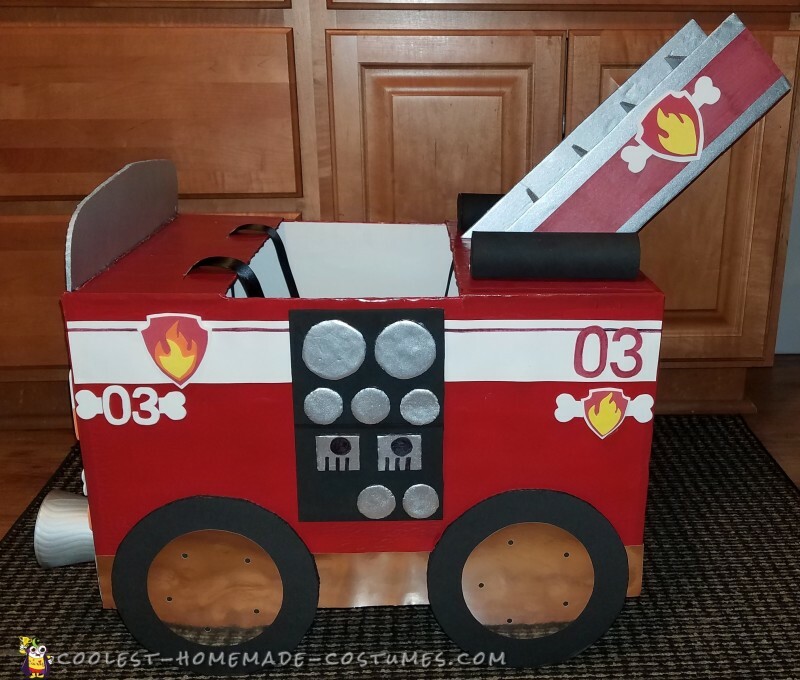 Then not long after I finished the Marshall costume I came across a picture of a Paw Patrol firetruck costume that someone made and I fell in love with it! 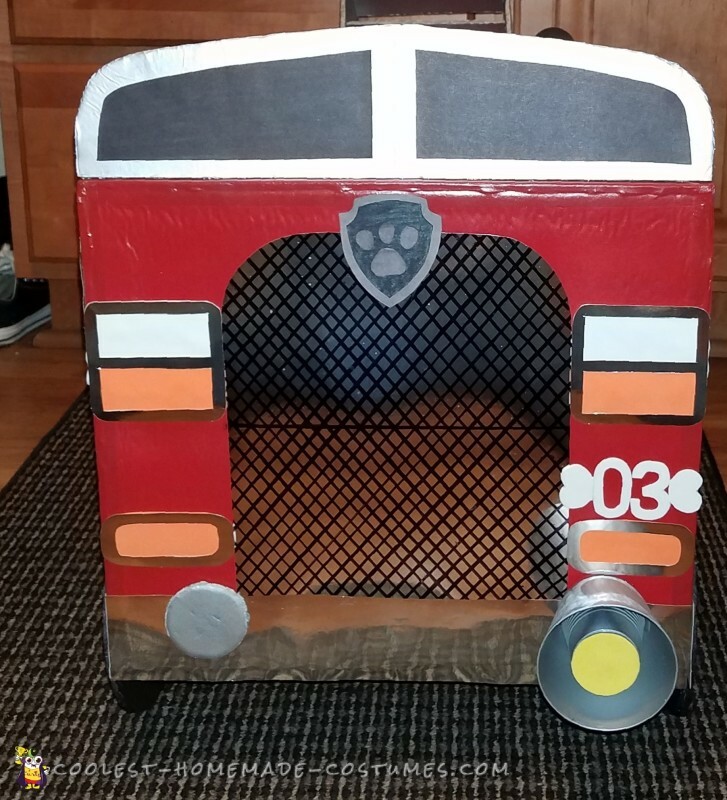 So I decided to give it a go and make my son the Paw Patrol firetruck costume as well to wear over the Marshall costume I already made. 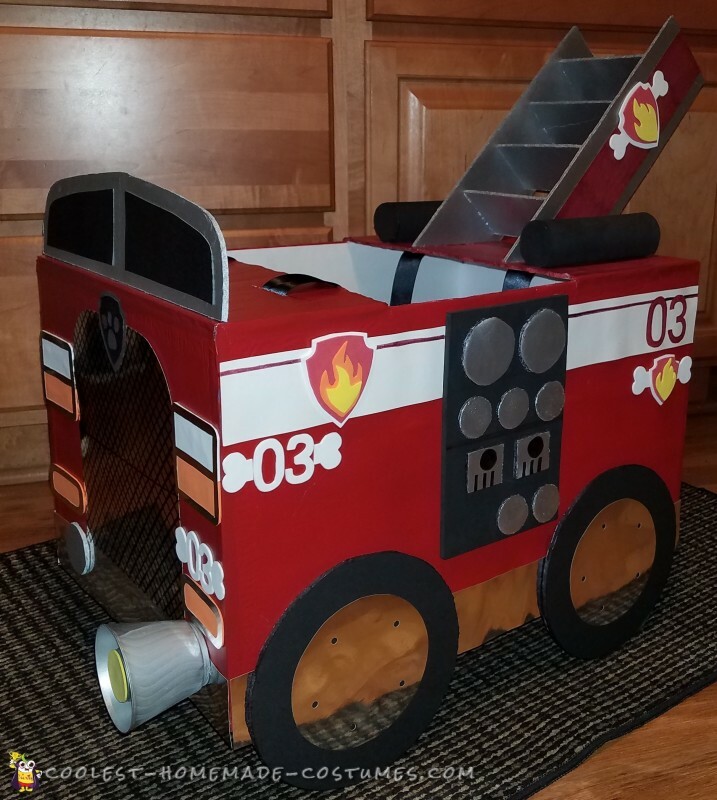 The firetruck I made is quite different than the one in the picture I found. I just used that picture for inspiration and did my own thing. I went online and found an image of the firetruck on the Paw Patrol show and used it as my guide. It turned out great and I can’t wait to see my son wearing it on Halloween! I used foam board hot glued together for the body and spray painted it red. I also used foam board to make the ladder, the windshield, and the wheels. For all the details on the outside of the truck I used poster board and craft foam. It took several hours to make, but it was worth it because it turned out so cute!